The Major Accident Investigation Team’s primary responsibility is to respond to and conduct the investigation of all fatal, major injury, and extensive property damage due to motor vehicle traffic accidents. All M.A.I.T. qualified personnel are highly trained in the field of accident investigation. The minimum level of training achieved by these personnel is Technical Accident Investigation (or equivalent). Ongoing training for M.A.I.T. personnel is conducted quarterly in the various specialized fields of accident investigation. The M.A.I.T. 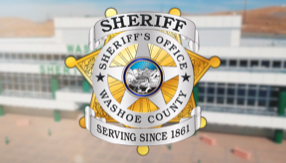 team works closely with the Washoe County District Attorney's Office in investigating accidents that involve possible prosecution, and they provide assistance to other local law enforcement agencies when requested.